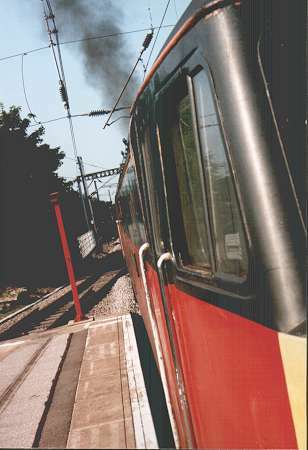 "Clag" - a most amusing term describing among other things dense smoke pouring out of a locomotive's exhaust. When they are not quite in tune diesel engines can (and do!) throw out quite impressive plumes of smoke. 25303 and 25323 leave a most impressive trail as they blast out of Aberystwyth during a shunting manoeuvre before working a return charter to North Walsham which the 'Rats' powered to Abbey Foregate Junction (Shrewsbury). The date is 28th September 1985. 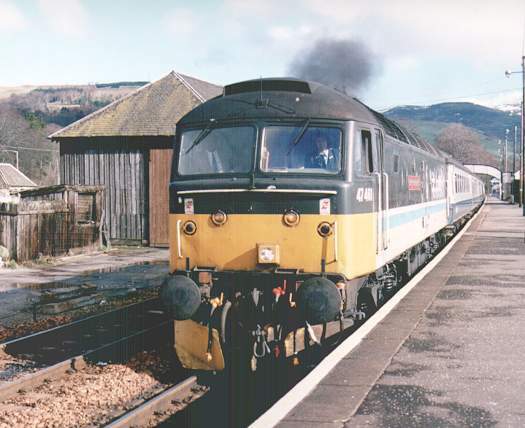 A Scottish Brush, 47461 then of Inverness Depot powers the 11:35 Edinburgh - Inverness away from Blair Atholl on 7th March 1989. 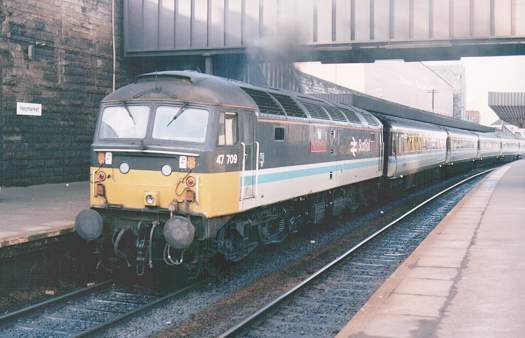 Staying North of the Border, 47709 pushes the 09:30 Edinburgh - Glasgow Queen Street away from Haymarket on 11th March 1989. 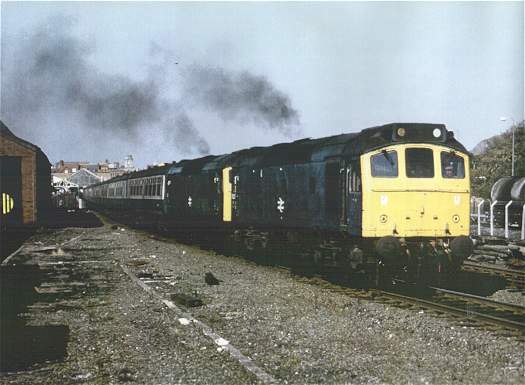 47774 (once 47551) is caught in action whilst working a Doncaster - Portsmouth Harbour charter on 29th May 1999. 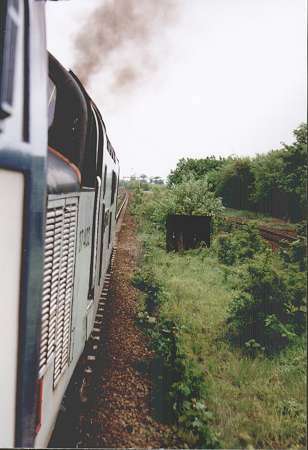 37402 darkens the skies of North Wales on 22nd May 1999 whilst in charge of the 16:50 Holyhead - Birmingham New Street.